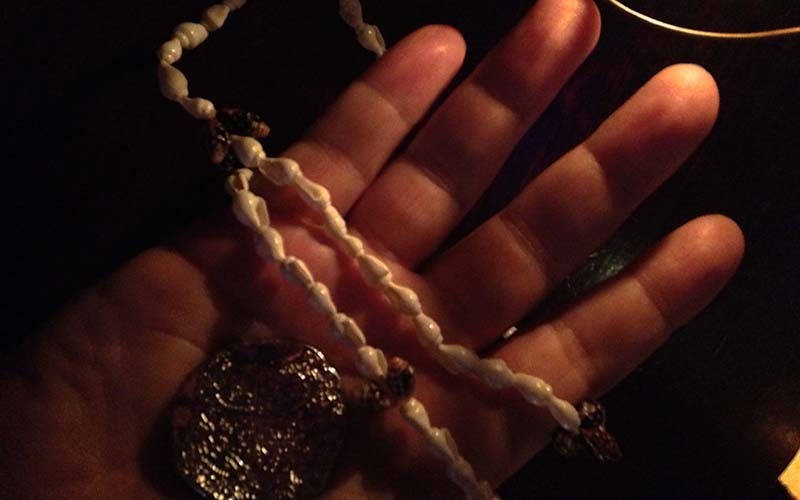 The new tiki bar at Clifton’s opened for a preview last night and you needed a secret password, a gold doubloon, and a shell necklace to get in. 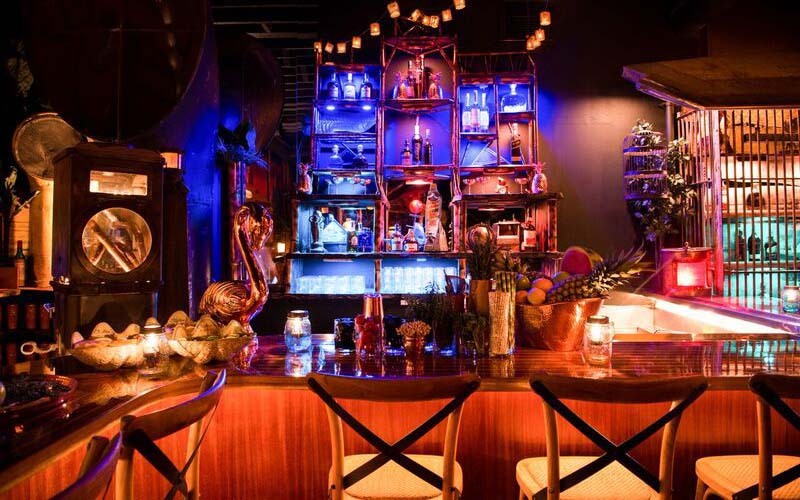 Secreted away on the fourth floor, deep within the cavernous “cabinet of curiosities” that the downtown cafeteria has transformed into, the new lounge is a spectacular island fantasy. 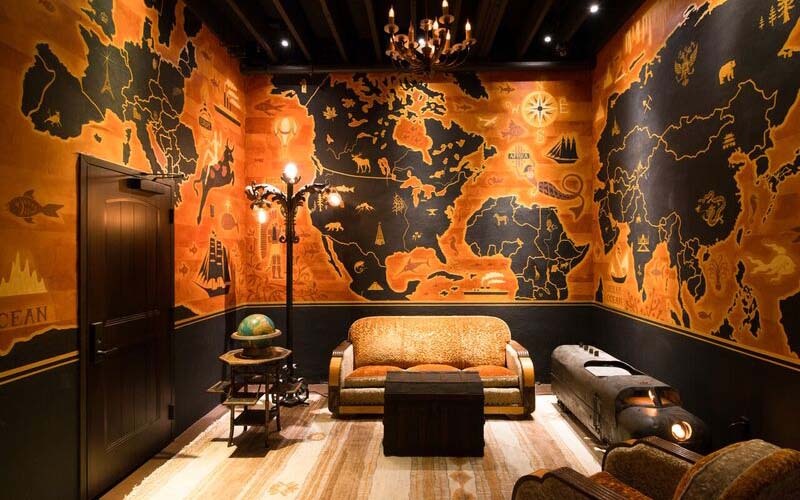 Once you locate the entrance, you enter the map room, the launching point for adventure. 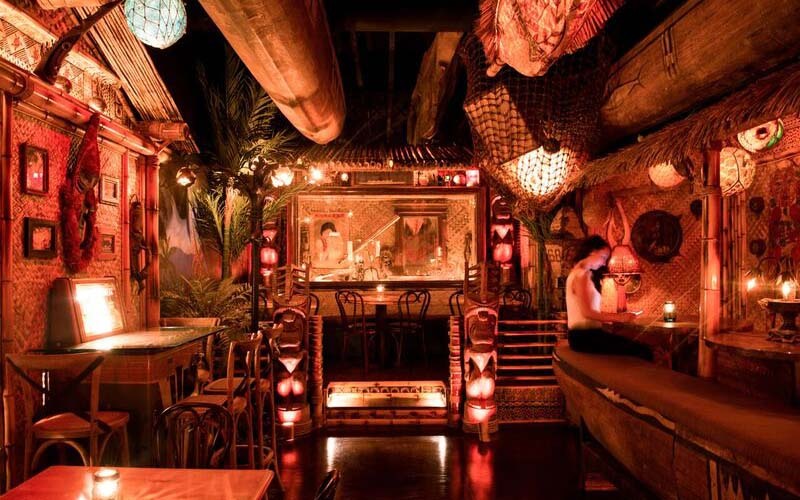 A series of small rooms unfold cinematically, all of which are packed with endless references to old school tiki bars—including a boatload of artifacts from the now-closed Bahooka in Rosemead and impossibly rare pieces from the original Clifton’s Pacific Seas (originally located two blocks away and demolished more than 50 years ago). 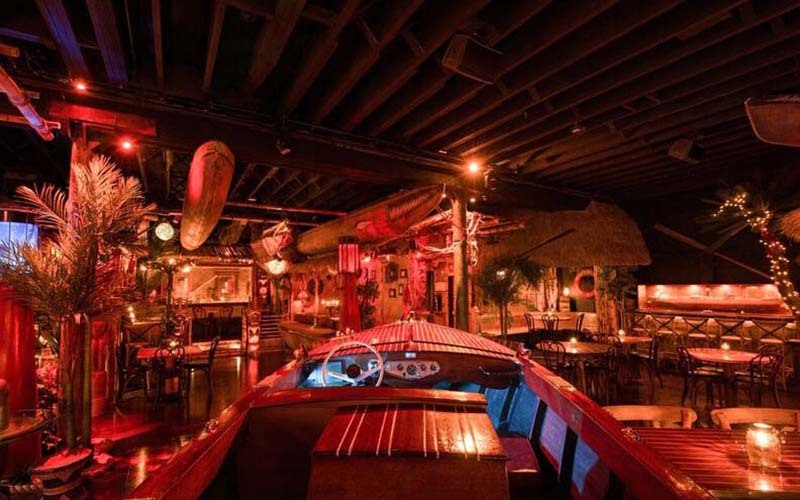 Massive slabs of artificial stone from the original building are part of the décor, along with the fishing floats, outrigger canoes, and endless bamboo that established the tiki look back in the 1930s. Bamboo Ben, a legend to tikiphiles whose grandfather built many of the original bars, oversaw the lavish installation. 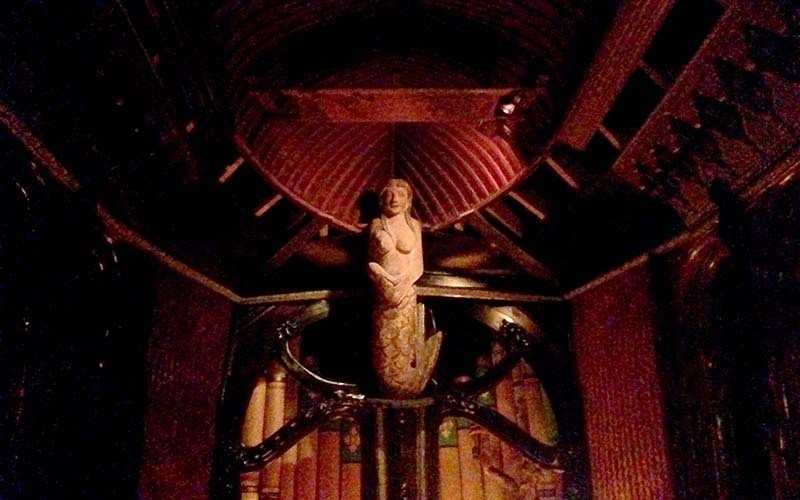 He worked with owner Andrew Meieran to transform an incongruous collection of antiques—who could have guessed that a tintype, a zither, and a pipe organ could be molded into a sort of castaway cathedral inside a world-class tiki bar? 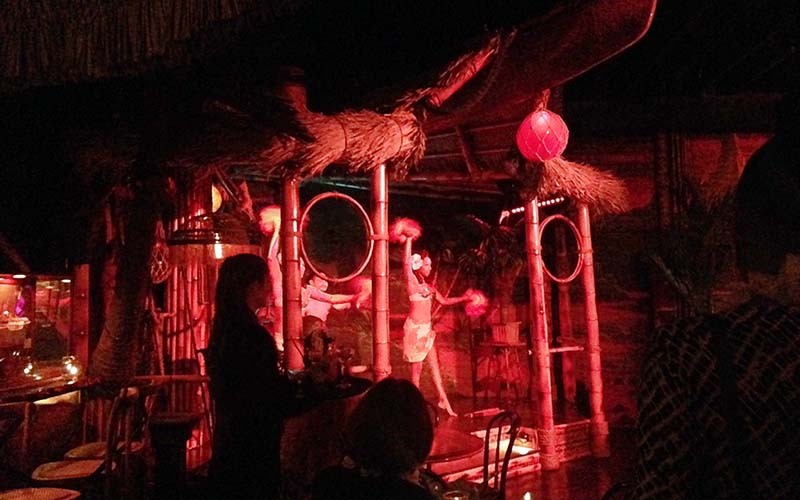 The Clifton’s preview event featured hula dancers on a stage modeled after the original Pacific Seas, bites of coffee-rubbed steak and an acrobat practicing on top of the vintage Chris Craft boat docked in the center of the room. Meieran will likely keep tinkering with his creation until the public opening on November 12. He promises plenty of tropical music, live performers, and surprises like the pop-up Coconut Club that will appear every Tuesday. 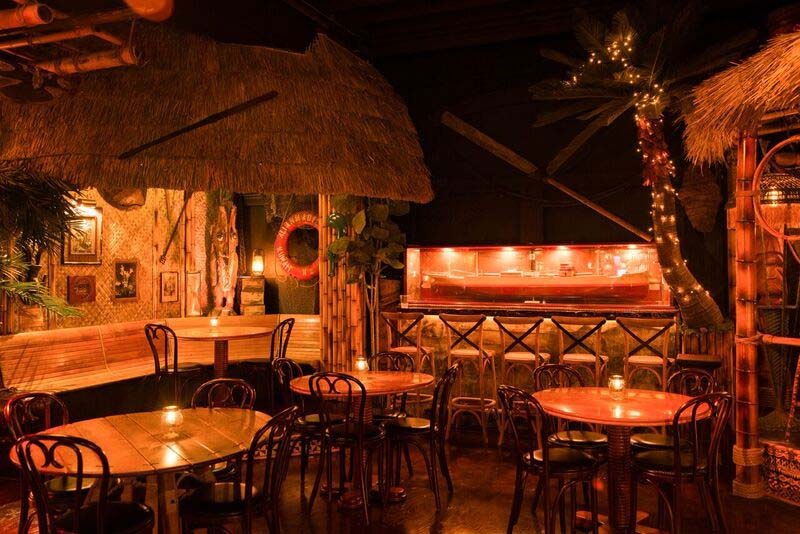 Set sail for Broadway and enjoy some tropical escapades at the most lavish tiki bar in Los Angeles.